We’re definitely on the same page, but we’ll see how the poll goes. Also, as TK said, the poll indicates preference, but may or may not be what is available. Yep… I am on the same page with you two. 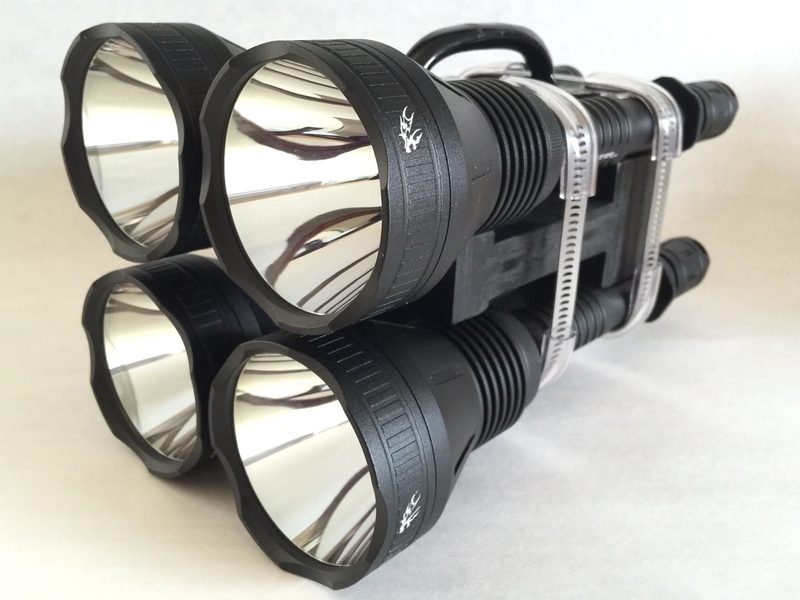 It somewhat baffles me too for something that is supposed to be an all around EDC light. But…. I guess that is what opinions & preferences are about, everybody has one. Yes that’s a bummer. It seems the USA doesn’t like to do business anywhere else. Lots of things I’d like to buy there from small entrepreneurs, but no way with the daft postage charges (and customs duty on their imports, which don’t seem to happen with my Chinese purchases). I last bought a custom bullet mould from a chap who understood the system, nevertheless it cost double by the time I got it. Contrast this with e.g. led4power who can ship stuff around the world for minimal fees, from his base in Croatia. A great guy. I’ll look around to see what can be got in the EU (still in it, for the time being). A strip of e.g ten emitters shouldn’t be too expensive to post. Perhaps a public-spirited USA resident could acquire some and bung them in an envelope ? It seems the USA doesn’t like to do business anywhere else. Is that really your conclusion? LOL! I doubt Digikey is the only place to buy from, nothing in your country? Well, if the others you’re so surprised to find exist chose the samsung for the same reasons I did; it’s probably that A] color quality (not just CRI) is actually quite important, and B] while this is going to have a floody beam, it’s still more than capable of being the dominant source of light versus everything in the nearest 2-300ft when it’s legitimately dark outside, and when it’s not, it’s plenty capable of lighting plenty of area. I expect an EDC light NOT to let me read billboards 1000ft away, because to do that it has to either produce an unpractical number of lumens, which tends to mean ugly but powerful emitters, or it has to give up at the very least the sort of floody beam that makes it practical at short to medium range outside for not tunnel visioning, for illuminating the underside of a car, the inside of a computer, the space behind/under things, etc. (I had a silicone diffuser for a convoy s; it sucked and eventually I lost it.) As for the color quality, I use the d4 219c to gauge colors of anything I’m considering buying where aesthetics matter and the color is dubious. Thanks for trying, Tom Tom. Some new leds luckily appear quick at RS (a UK company) as well as Mouser/Digikey, mainly leds from Osram and Lumileds. RS charges just €2.50 shipping and they arrive overnight from England, so that is my first go-to shop for leds if possible. But they are not up to date in Samsung leds, they just carry some LH351B leds. For a total of 1 lights . How many Flashlight do you want in total? … x … units? . I’m sorry, it was my mistake. I only want 1. Please say how many you want. I’ve heard doubts aplenty, but the fact is, it’s been nothing but vocal doubts that this amount of light could travel more than a few feet before becoming hopelessly useless. “maybe” under the stove? What, is your stove half a mile across? “Determining the exact color of the boxers(…)”? With that kind of attitude maybe I should determine the exact color of the boot targeted at Uranus. You think, you doubt, you think. I have been in the dark, I know how much light it takes to see when there’s not streetlights and floodlights shining in your eyes. If it was truly dark outside, then the other sources of light can’t add up to much; let’s say a full moon even though I don’t consider moonlight dark (I can nearly read a book by it). It’s the wrong phase right now to compare versus that, but at the very least I might show what this rough amount of kcd at 300ft instead of 200 can do. Maybe I’ll try doing a video; of course I will have to turn it down if I go anywhere but an open field. My d4 219c turbo was enough for 200ft+ on a clear night; on a normal night the haze makes any light a bit less useful since more light just means more backscatter. 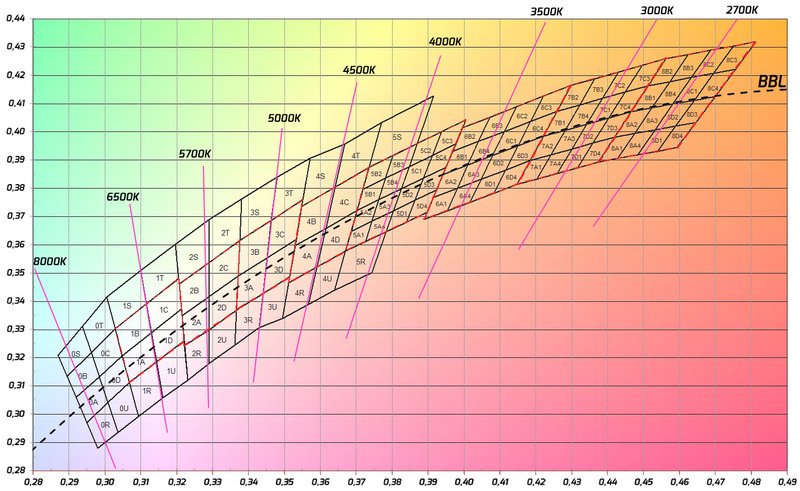 If I get any haze, I might have to just do normal walking around rather than focusing on the infrequent longer ranges. Generally I either need to be able to search for things at a very far distance with a d1s or equivalent; or maybe to get a very good look at something in specific that was still somewhat distant. Otherwise, my edc is for when you need something to see what’s in the near area (50-150 ft, sometimes more): where are you, where are the buildings / vehicles / other things you’re navigating between, what’s near enough to you to be worth noticing, and where should you put your feet. 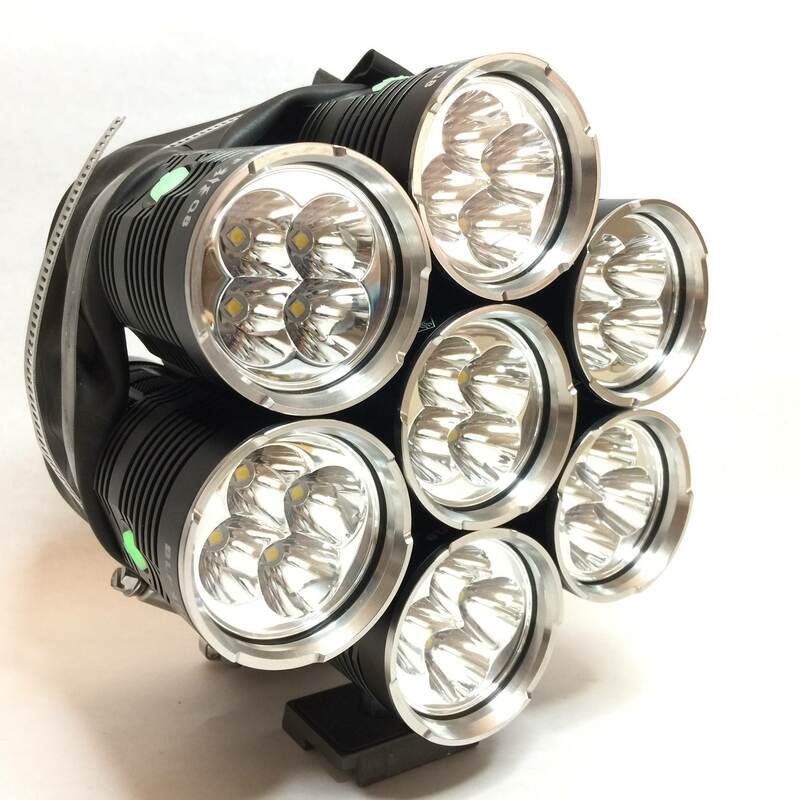 A thought….there are quite a few flashlight users who disregard turbo and want thermally-stable output only. Now….FW3A won’t be the light with the highest output in the class, but the combination of ui, egronomics, price would still make it pretty unique. Would adding an option to stop the ramp at the highest sustainable level make FW3A more appealing to such users? The ceiling is set by default at full 7135 which is actually not that far off from what it can maintain with some emitters IIRC. I think xp-g3 was 800lm anyway. For maximum brightness, use a large rubber band to bundle all 5 of your FW3As together….. Awesome! That bottom one looks like it would make a perfect pocket EDC!!! I am interested. Please add me to the list for One FW3A.